The artist and musical creator Amiran Dvir did not imagine that the melody he wrote for the words of Rabbi Kook Zt”l will affect so many listeners around the world. The song was played hundreds of times on the general and sectorial radio stations, entered the official Educational program of the state-religious Israeli education system as part of learning about the Rav Kook Zt”l, and in the music school “Rimon” they included the song in their music paling classes. Amiran Dvir tells us, “It is very exciting to receive video clips from all over the world with Performance of the song in schools, Chabad houses and just dear Jews that the melody and words touched their hearts. I am pleased to present the official remix version of the song. 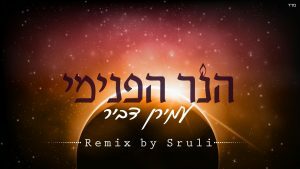 The Remix version was produced by the musical producer, Sruli Bruncher. 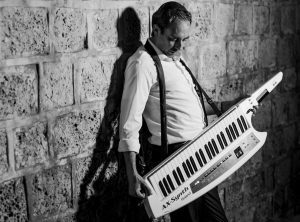 Next month, Amiran Dvir and the band will perform in “Zappa Jeruzalem” as a part of a tour celebrating the band’s 20th anniversary. In the concert Amiran will perform for the first time the new single “הרגע להודות” (The Moment of Thank) and will host the brothers Gat.